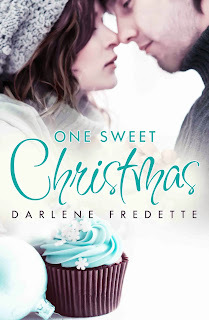 I received my cover for One Sweet Christmas two days ago. The cover was nothing I imagined it would be due to the design not having any of the ideas I indicated in my cover form. However, when I saw it, I was pleasantly surprised! And really liked it! The bad part - there were two small errors. 1. The original cover had the woman with blond streaks, but my heroine has chocolate brown hair. 2. The man had a thick beard and mustache, which my hero doesn't. I requested the two changes, which I wasn't sure they would do, but they did! I couldn't be happier. I love this cover, especially the chocolate cupcake!